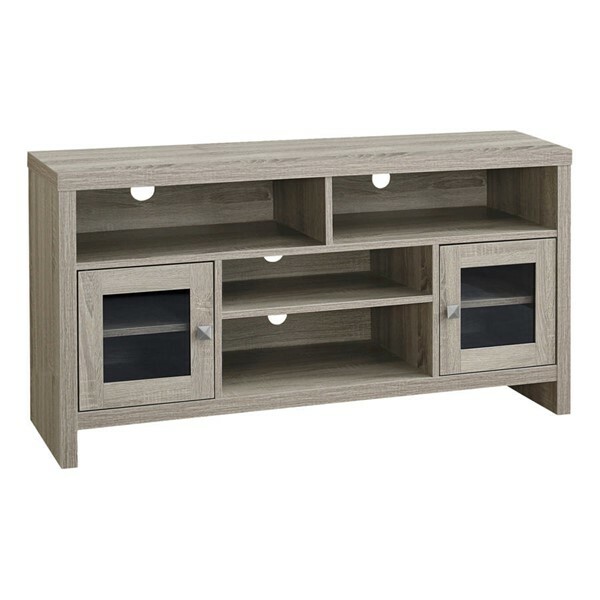 Add a touch of style to your entertainment room with this transitional style tv stand. Four open storage shelves and two additional adjustable shelves behind chic glass-paned cabinet doors provide ample storage space to house your favourite movies, components, and game consoles. Four cut-outs in the back panel of the console help keep cables and wires tucked away. 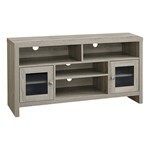 Finished in a dark taupe this tv stand is the perfect blend of fashion and function and is a must have in any tv room. Accommodates all TV sizes with center stand.